At SnoreCare, we are fully concerned with the health benefits our clients should enjoy from a good night rest. This motivates us to create innovative solutions to aid in your sleeping disorders caused by snoring and sleep apnea. With an aim to fill the gap among available anti-snoring devices, SnoreCare introduces the nasal cones that go beyond the effects of mouthpiece, nasal dilators, nasal strips and other CPAP machines available on the market. 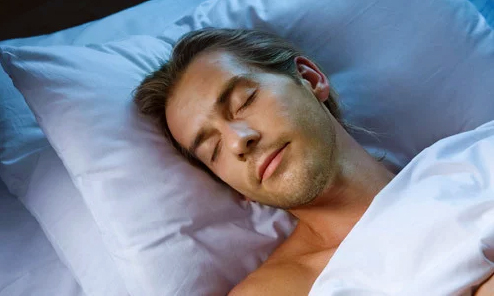 Our nose vents promise to provide a soothing effect while maximizing your air flow, thus making it a perfect treatment to eliminate all the sleep apnea symptoms that keep you and your partner up at night. Snoring will soon become a thing of a past forever and every waking moment will feel a whole lot better with renewed energy and beatific eyes! SnoreCare is proud to say that its nose vents are the only non-invasive product on the market. While mouth guards and other dilators work by keeping either your jaw or your tongue forward, Snorecare Vents function to strengthen and expand your nasal passage gently. This eliminates tongue sourness and throat discomfort. The new and improved two silicone pieces are recommended for breathing relief from nighttime nasal breathing difficulties, such as milder nasal airway obstruction due from sleeping, snoring, deviated septum, and swollen turbinates. They are also suitable for people with dental crowns, bridges or caps. Furthermore, SnoreCare Vents are a revolutionary product as they can maintain the same effectiveness even after years of usage. A lot of people suffer from restless nights because of their partner’s awful snoring. According to a sleep study, chronic loss of sleep can lead to health risks like heart diseases, heart attack, heart failure, irregular heartbeat, high blood pressure, stroke, and diabetes among many others. You can now prevent all these damages to your health with an anti-snoring device that truly works. Among the hundred products created to stop snoring, we emerge as the top provider of quality device that delivers. Researching the best and safest material to use, as well as coming up with designs that ensure comfort, SnoreCare successfully molded a snoring and sleep apnea treatment that’s certainly effective. SnoreCare Vents are sold at a very affordable price. Each package already contains different sizes and types you need, depending on the level of comfort you want to achieve. What’s more is that these nasal cones are reusable and long-lasting so you can utilize your sleeping aid whenever you need them. Your long sleep is our joyful reward for our stints. For this, we have a team ready to guide you in the use of our products and give quick answers to your queries sent through emails or phone calls. Those are our aim in designing the anti-snoring device that’s suitable for everyone.